ever since i was a little girl i have been fascinated with chocolate and cooking. this was one of my first “signature” recipes found in the “alpha bakery children’s cookbook” published by gold-medal flour. i remember saving up the upc’s off the bottom of flour bags and sending them away with a check for shipping and handling. it was a very exciting day when that cookbook arrived! grease the bottom only of a 8″ square pan, with shortening. heat margarine and chocolate chips in the microwave on a low heat, stirring constantly until melted. stir in remaining ingredients with a wooden spoon until smooth. spread in pan with a rubber spatula. bake until center is set, about 30 min. 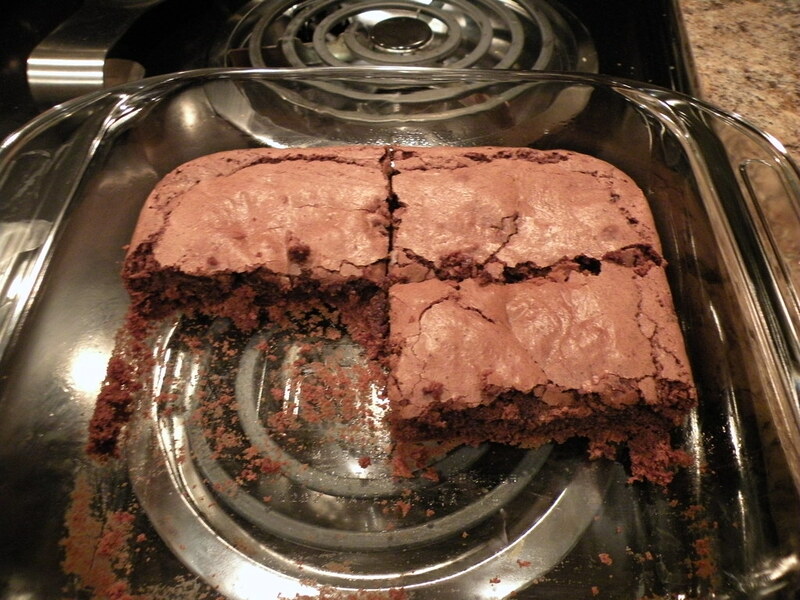 store brownies in a tightly covered container.